On arrival at the JetParks Ringway car park, please drive up to the barrier. Your vehicle will be recognized by the cameras. Please take the token that is issued and proceed to the car park to find a parking space. If there are any problems, press the intercom for assistance and quote your reference number. Please do not press the green flashing button as this is for customers who've not booked. On return, please drive to the exit - and the barrier will lift automatically once your vehicle has been recognised. If you've stayed longer than you booked for, you'll be prompted to make payment using the chip and pin device. If you encounter any problems, press the intercom for help. The car park has 24-hour CCTV cameras and patrols as well as barriers. Well lit parking for arrivals during hours of darkness. The car park holds the Park Mark, Safer Parking Award. There are spaces for blue badge holders and all buses are DDA compliant. Official airport car park. It operates Automatic Number Plate Recognition (ANPR), for simple entry and exit newly built self-park car park with a bus service operating (to all three terminals). Secure, Easy & Affordable JetParks Ringway car park at Manchester Airport. 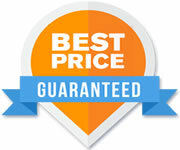 Best Price Guaranteed & No Booking Fees! Book Now With AirportParkingMarket.com Compare multiple Manchester Airport car parks in one search, book online and save up to 60%!